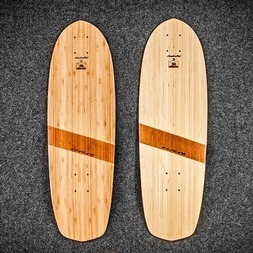 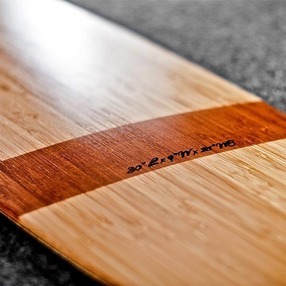 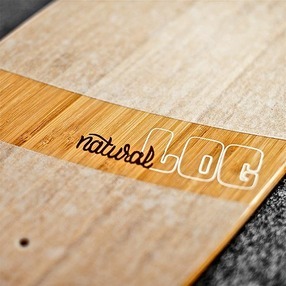 Natural Log Skateboards are proudly handcrafted one by one in California. 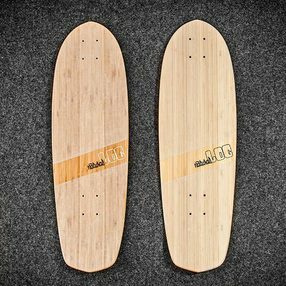 Each board is hand shaped, laminated, and branded to the highest standards by craftsmen who are passionate about skateboarding. 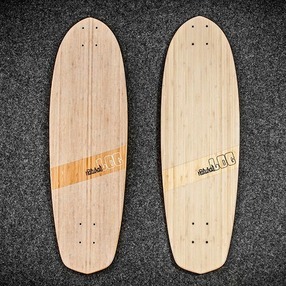 WIth its inspiration from the Roots, the Roots Mini will take you back to the first days of skateboarding. 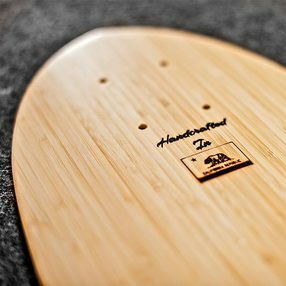 The shape and the board‘s bamboo/maple hybrid construction gives it all the performance characteristics of a contemporary skateboard. 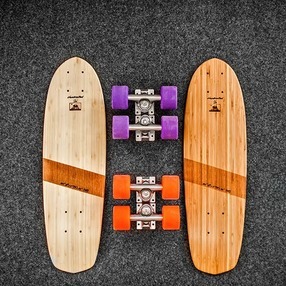 Our Roots model is designed as a versatile classic cruiser. 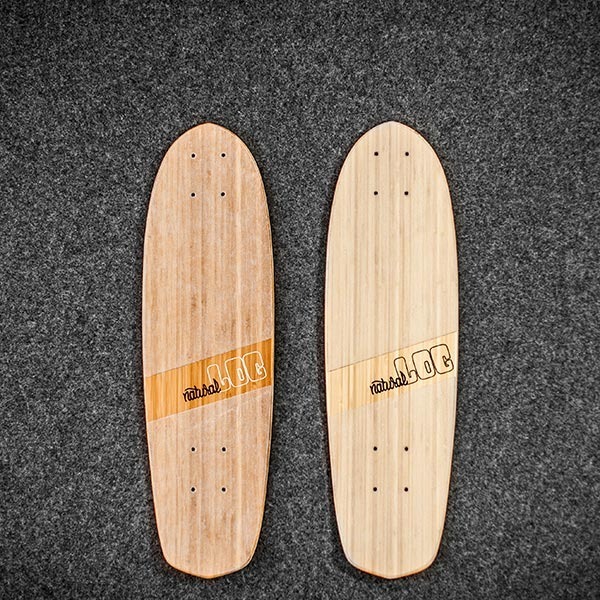 The board features a wide nose, and is shaped to have a hint of flex for a smoother ride that takes you back to the roots. 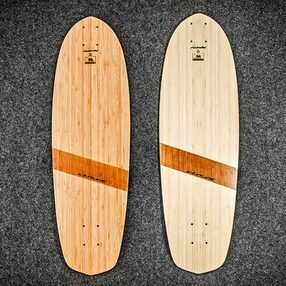 Our Rhythm model is designed as an all around free ride board perfect for carving, cruising, and commuting. 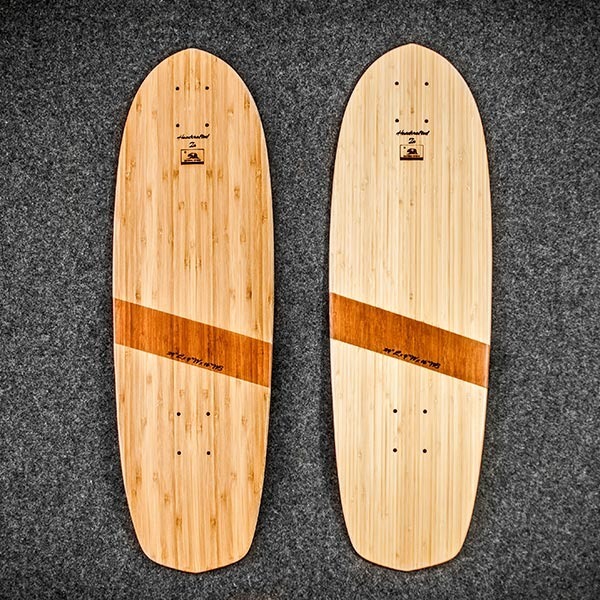 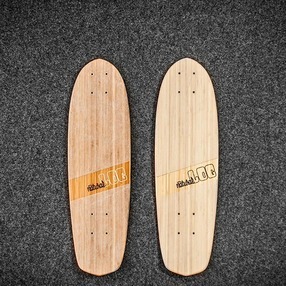 The board features a wide shape, long wheelbase, and a responsive flex level crafted in a compact size.